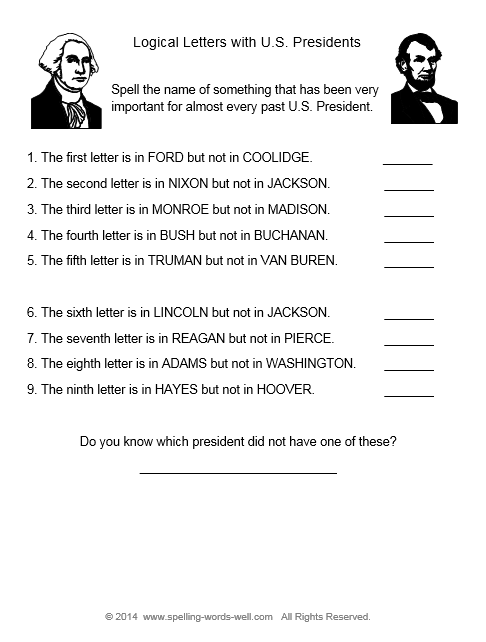 These fifth grade worksheets offer valuable vocabulary and spelling practice in fun, open-ended situations. 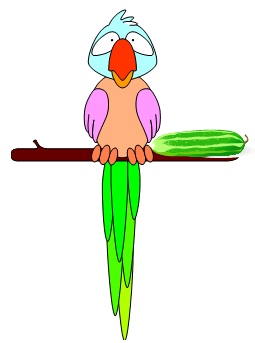 On each page, you can assign the words you want your students to practice. 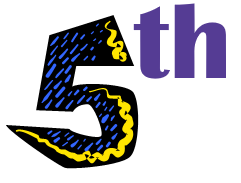 (Each student could actually use a different list, which is great for differentiation.) Or students can select the words of their choice. Either way, by the time students have completed each page, they will have had lots of practice in the correct spelling of these words! 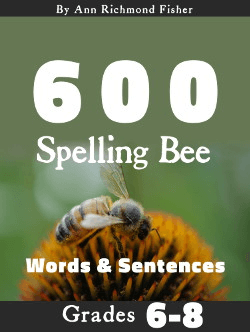 Find synonyms of as many of these spelling words as possible. Look for synonyms that have at least one letter in common with the spelling word. Write the words and their intersection synonyms as shown in the sample. 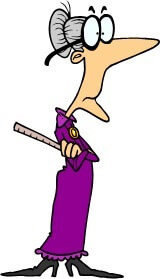 Use additional graph paper, if needed. Make a list of 10 spelling words in the box on the right. Add letters to the fish so that you can spell as many words as possible. You can move from letter to letter only if there is a line connecting them. 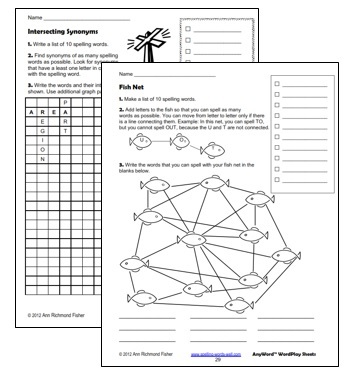 See the example on the printable worksheet. 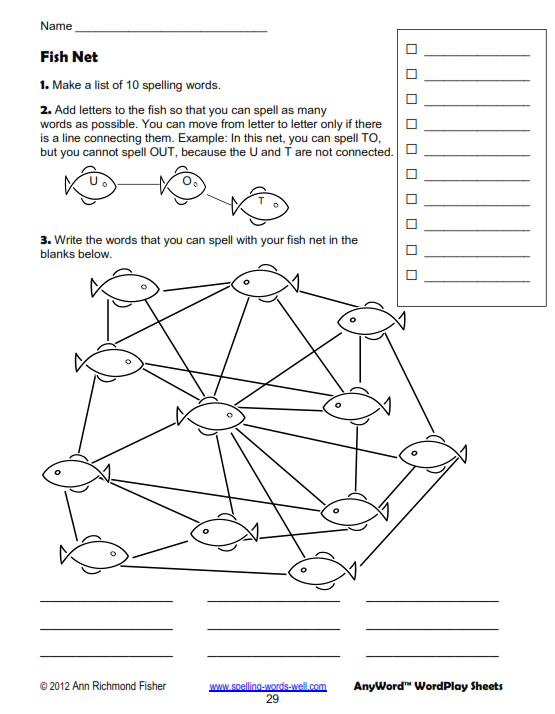 Write the words that you can spell with your fish net in the blanks at the bottom of the page. 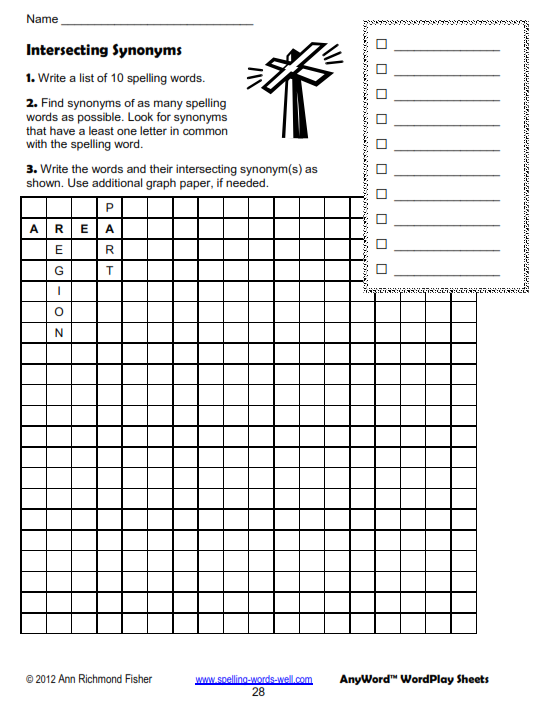 These worksheets are included in my AnyWord Word Play Worksheets eBook! If you enjoyed these pages, you'll love the rest of the book, too. 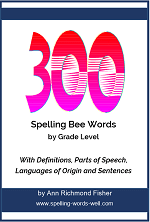 This book is part of my AnyWord Spelling Practice Series which also includes Writing Prompts and Partner Games. I've written two sets of engaging writing prompts, aligned with our fifth grade spelling word list. 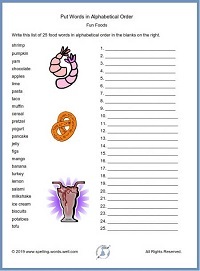 Use these stimulating prompts anytime throughout the year for fun spelling and writing practice! 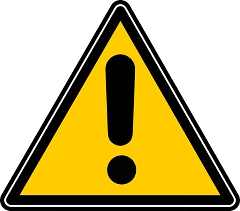 5th grade spelling lists - 3 more big lists from typical fifth grade math, science and social study classes. Lots of great words for your students to learn!